Every job fair I attend seems to be more packed/well-attended than the one before. One person boasts of his Ph. D in Astrophysics, another looks for an industrial painting position, an employer needs welders and assemblers, and a college representative is looking to train workers for the jobs that employers currently need. Hundreds of job seekers wait in line just to have the opportunity to spend 30 seconds – 1 minute with an employer. The employer travelled six hours to find candidates with “middle skills” to fill a staffing contract with one of the major oil companies. The major oil companies need specific people with specific skills to meet their staffing needs. It’s no surprise that finding a job after attending one of these events might feel similar to winning the lottery. I don’t attend job fairs to stand behind tables, nor do I attend to wait in line for hours. I go to meet with all individuals associated with the job fair. The diverse melting pot of job seekers, employers and job fair coordinators hold all the vital information you need to find work. To increase your chances of gaining employment, you need to talk to everyone you can from the moment the job fair starts to the moment it ends. If you think you can show up, talk to an employer, leave and get a job, you’re clearly on the wrong track. If you go and jump out of your comfort zone and use your communication skills to share information, you’ll hit the jackpot. Getting out of bed and meeting a bunch of strangers is not my idea of a good time. The person who does this lifts his/her chances of being employed. If you are unemployed or long-term unemployed, missing out on these community events is not an option. Networking and unemployment are similar in that they are both uncomfortable. Getting out of your comfort zone will help develop your confidence and communication skills. Those are two important qualities that EVERY job requires. Over three hundred attendees make up this huge event. Everywhere you look, people are talking. Job seekers to employers, job seekers to job seekers, employers to employers and everyone in between. You’re witnessing communication and the sharing of information and ideas at its best. Some are having conversations that make you scratch your head because of the complexity, others because of foolishness. Smart or dumb, the people searching for jobs at job fairs are learning more about themselves and others by putting themselves out there. Everyone has their own job search method and there’s not a “one-size-fits-all” approach to landing your dream job. I’ve thought many times, and some job seekers agree, that there’s no point attending job fairs because they’re a waste of time. I no longer think that because I gain soft skills, which help my long-term personal development. If you effectively attend job fairs and practice the right networking techniques, you’ll find yourself in a case similar to winning the lottery. You may not get the cash option, but the impact will change your life forever. 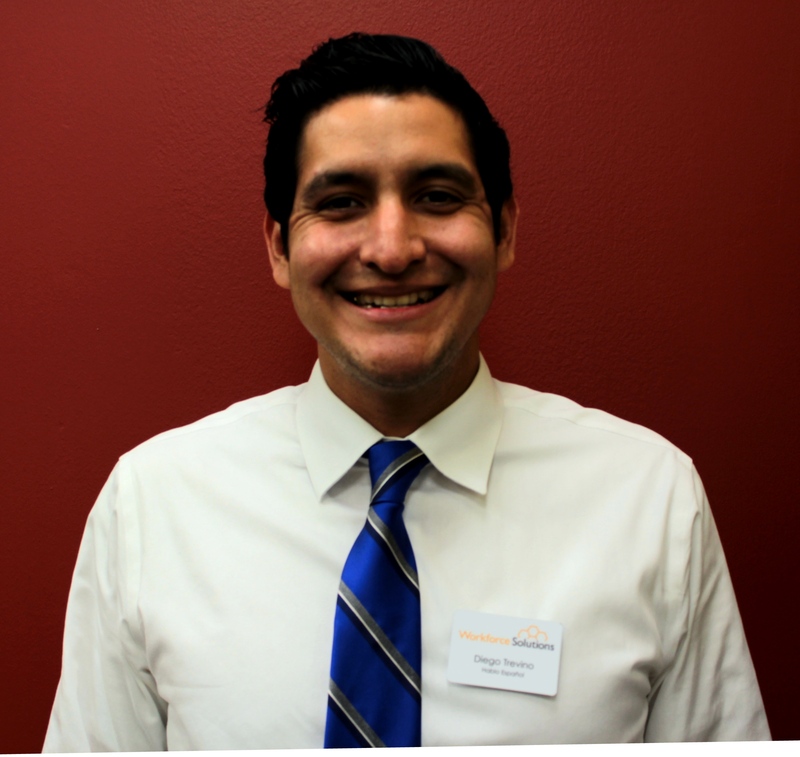 Diego Trevino is a Regional Facilitator for Workforce Solutions in the Houston – Galveston area. Before joining the regional team, he served as a greeter, employment counselor and staffing specialist. Earlier in his career he traveled to South Korea where he taught students English. He uses past teaching experiences and present workforce knowledge to conduct job skills seminars throughout the 13 county Gulf Coast Region.